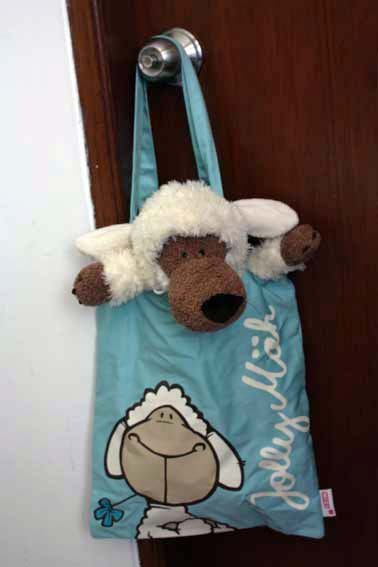 We received an email from one of our NICI friend who is in love with NICI wolf in sheep's clothing too. Yes! We mean Hugo Wolf and Jolly Wolf! 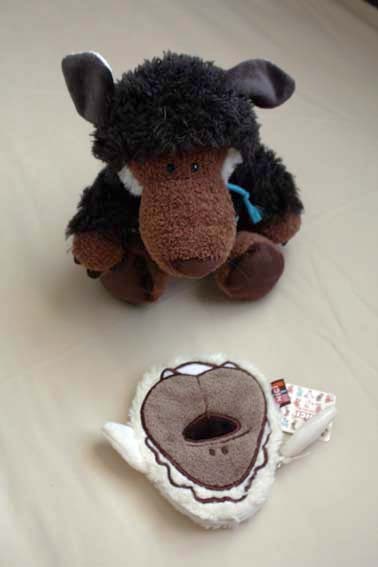 If you have noticed, wolf plush is NICI-Mania's favorite NICI toy. 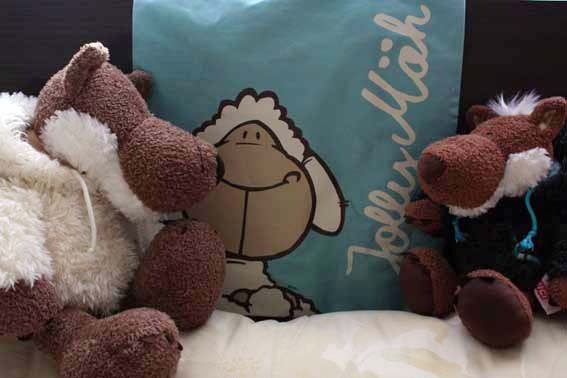 Hence, we are extremely happy and excited that more Hugo Wolf, Jolly Wolf are being brought home to be loved, as they are not very popular among NICI fans compared with the flagship Jolly Mah sheep. Hello Jolly Wolf, Hugo Wolf! Our fellow NICI friend sent us some beautiful pictures of her new NICI wolf collection to share her joy! Hey Jolly Wolf, what happened to your body? We think Hugo needs a cute Bear outfit, with a little jar of honey too! That most beautiful story, I love it!! i think JWs are wonderful!